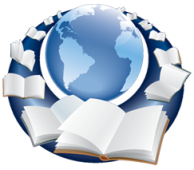 Virtual Reference allows users from across the globe to ask a library for reference assistance. It can be assessed through any device that has internet and/or data connection. Its service includes Email, Instant Messaging, Chat, and Text-Messaging. Each service has its unique specialty that offers different benefits to the libraries and the users. Virtual reference is reference service initiated electronically, often in real-time, where patrons employ computers or other Internet technology to communicate with reference staff, without being physically present. Communication channels used frequently in virtual reference include chat, videoconferencing, Voice over IP, co-browsing, e-mail, and instant messaging. While online sources are often utilized in provision of virtual reference, use of electronic sources in seeking answers is not of itself virtual reference. Virtual reference queries are sometimes followed-up with telephone, fax, in-person and regular mail interactions, even though these modes of communication are not considered virtual. There are many service tool providers for virtual reference, such as QuestionPoint, that allow the library to adapt to this technology and provide this service to their users. Brooklyn Public Library, New York Public Library, and Queens Library are among the subscribers of QuestionPoint service. This site was prepared by Shirley Wong-Li in Fall 2011. It is the final project for LIS 650 class in Palmer School of Library and Information Sciences.